The phrase “scorched-earth policy” has been much in use in the more credulous sections of the Delhi commentariat of late. The idea here has been that the United Progressive Alliance(UPA) government is deliberately mucking up the economy in order to leave a tougher job for the next government. This was always a bit of a stretch, but that doesn’t stop those primed to see conspiracies under every bush. In his interim Budget speech today, Finance Minister P Chidambaram may have finally silenced these claims. In fact, he’s gone a lot further. I’m a dyed-in-the-wool sceptic about most things Mr Chidambaram says, but I’ve been relatively surprised as I’ve looked more carefully at the Budget numbers. 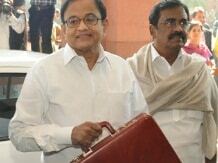 Mr Chidambaram is not the most reliable of accountants. In the past he has played with figures, putting oil subsidies off-Budget, for example. This interim Budget, however, looks like it could stand up to scrutiny. No enormous decrease in subsidies is planned for, for example. The total subsidy bill is supposed to remain the same as it was this year. True, that means that some expenditure on fuel will be rolled over to next financial year. But that happened last year too. The crucial question – and really the biggest place where Mr Chidambaram might have misled us – is in how much more. By my calculations, he might have rolled over Rs 50,000 crore when he claims to have rolled over Rs 35,000 crore. But that remains to be seen. Meanwhile, expenditure on food subsidies is Budgeted to increase to Rs 1.15 lakh crore from a total expenditure of Rs 92,000 crore this year. At first glance, this appears responsible. Less responsible, but not altogether unbelievable, are Mr Chidambaram’s estimates for growth next year. The interim Budget only gives a nominal growth rate for the economy – so you have to take out inflation in order to get a more sensible picture of growth. In this case, with a reasonable figure for inflation, it looks like the FM has Budgeted for just over 6 per cent growth for the next financial year. That’s atleast a percentage point higher than India has right now. But it isn’t totally impossible, either. In fact, if there’s a rebound towards the end of 2014 – under a new government, presumably – that could easily be achieved, given the low base. Whether this year’s revenues will eventually grow at the rate that Mr Chidambaram expects is also, in fact, an open question. He seems to project a sharp increase in tax collection in the last quarter. Also, whether or not the recent spectrum auction will fetch as much as Rs 40,000 crore usable for this financial year is doubtful. The most interesting thing,perhaps,is that,far from implementing a scorched-earth policy,far from committing the next government in New Delhi to the UPA’s vision, Mr Chidambaram has in fact presented a Budget which essentially starves the “welfarist” ministries that have been the mainstay of the UPA’s governance experiments. This is a Budget that one would have expected from the finance minister of Prime Minister Narendra Modi – if, that is, one buys the “reformist” hype around Mr Modi, which one shouldn’t. Look at the numbers. The Department of School Education and Literacy: down from Rs 50,000 crore spent this year to Rs 6,000 crore budgeted for the next. The Rural Development Ministry: down from Rs 60,000 spent this year to Rs 7,600 crore Budgeted for the next. (Jairam Ramesh was allocated ten times as much to spend last year than he and his successor have been allocated for this year.) Ministry for Women and Child Development: Rs 19,000 crore spent last year; cut to Rs 900 crore this year. Social Justice ministry – cut in half. The story is the same across all the UPA’s pet areas. A truly astounding change of course. What has seen an increase in budgets? Well, the Department of Atomic Energy has seen a doubling. Increases have been doled out to urban affairs, renewable energy, power, scientific and industrial research, and water resources – all the areas where a central push is more important than implementation. Instead of Delhi implementing welfare, it’s been entrusted to the states, with a big jump in Central assistance to them. That’s genuine decentralisation. A fascinating turn-around, one of the biggest the UPA has ever attempted – and something P Chidambaram totally didn’t mention in his speech. I wonder why.